Publishing articles is now one of the best ways to improve your website’s SEO and generate more page views. Brilliant Directories includes a full-featured, search engine optimized blogging system with a visual text editor. Build your online community and create additional resources to complement your directory listings. Writing articles is just like creating a Word document. 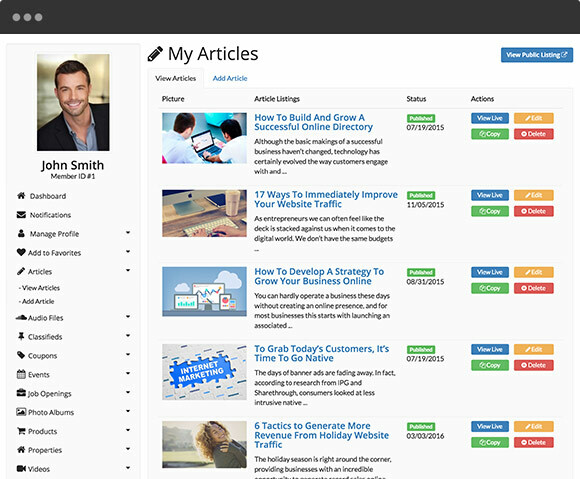 View, edit, copy, unpublish or delete your existing articles. 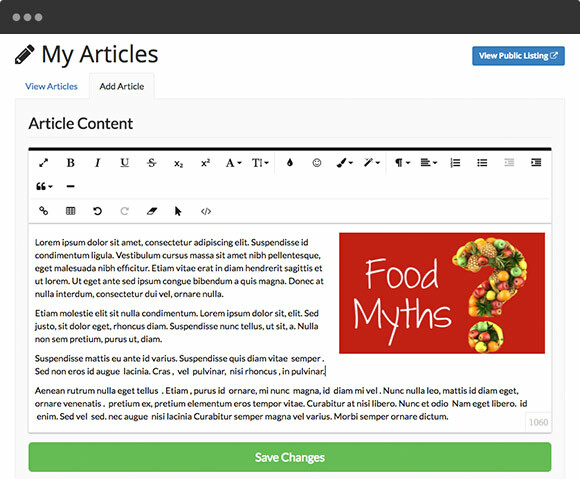 The visual text editor allows you to easily create articles with images, links, headings and more. Draft your articles in advance and set a scheduled date for when you want your articles to be published. Your blog articles have their own section on your site, separating them from your members’ articles.